Isn't that always the question?! Do you save up and splurge? Or buy something similar for much less? I'm more of a buy less (and maybe spend more) and love it wayyy more/wear it all the time. Fast fashion is just that for me. I buy wear and it looses it's luster. But sometimes I fall in love with something I just really do not want to spend that much on. Recently I found a few items that had a very reasonably priced similar item, from Forever 21. A store which, I feel, if you can spend some time digging you can really find some items that look a lot more luxe than their price tag. 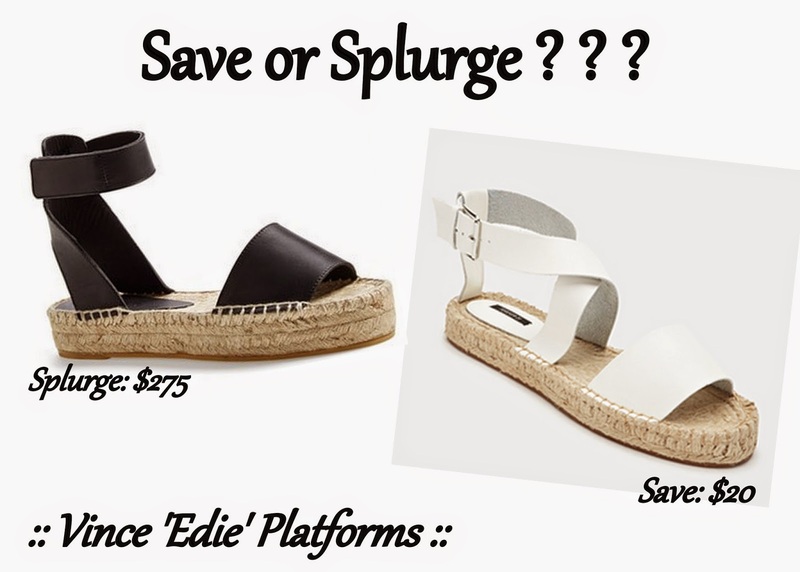 So would you splurge or save on these??? Loving all of these. Thank's for the suggestions. Visitor satisfaction is the priority of the blog owner.